The small housing neighborhoods visible from the train when arriving in Busan make a marked contrast with those in Seoul: not the almost uniform red brick covering of houses but a wide variety of colors in a neighborhood that is not "hill neighborhood" despite of being on a hillside but far from being a middle-class (or in Korean terms "neighborhood living well" chal salda) either. - "Why, is there a problem with pink?" - "No no, I was just wondering, as houses have so many colors in this neighborhood"
- "Everybody does as one likes here. I like this color so I use it." Most of the answers were like that: "just doing it" (kûnyang), "it's pretty" (yeppôsô), "it looks cool" (môtjinikka). Was preparing a note about how bad the current times have been for the Korean labor and labor movement (revelations of labor union kickbacks here and there), but I'll leave that for later and link and quote from a writing in Jinbonuri by Yu Min-ho: businesskeeper woman who became a non-regular worker. This is a kind of a life story that would make a wonderful case in my thesis: earning a lot of money in the 80s and 90s until the large distribution outlets are allowed to operate; selling the business for good money, buying property and opening a cosy cafe; losing everything in the "IMF crisis" because of having secured a loan for a relative; going to the East Sea coast to work in a restaurant to learn the secret of a delicious recipe, and managing to buy the recipe from the owner except for one piece of seasoning which she finally learned from a marketplace trader; keeping the restaurant successfully until becoming too exhausted; managing to find work as an irregular worker in a big company despite of the 1/50 competition; now she gets 1.2 million (€850) a month, which is way above the average for irregular woman workers, 700 000 W (€500). 1 나의 누님 얘기다. 소설 한 편으로 써야할 만한 스토리인데 짧게 요약한다. 나의 누님은 의류유통업으로 큰 돈을 벌었다. 누님이 성공한 것은 사업 재능도 있고 쉴 틈 없이 일한 까닭도 있겠지만 민주노총의 덕이 크다. 중저가 의류 매장을 두 군데 운영하던 누님은 여성 노동자들이 많은 구미에 대형 매장을 열었다. 매형의 과장법으로 돈을 쓸어 담았다고 한다. 그 때 장사해서 돈 못 번 사람 없다고 한다. 그런 매장을 전국 여러 곳으로 확장했고 직원도 30명이 넘었다. 누님 집에 가면 유명연예인들과 함께 찍은 사진첩이 있다. 일용엄마, 순돌 아빠, 용의 아들, 트로트 가수 등 서민들에게 인기 있는 연예인을 불러 철마다 대목행사를 했었다. 실물경제인은 경제원리를 감으로 아는 모양이다. 김영삼 정부 중반에 대자본의 유통업 진출이 허용되고 전국에 대형마트가 속속 들어섰다. 의류 유통도 동대문에 밀레오레 같은 것이 생겨나 전국으로 확산되었다. 그때 누님은 판을 정리했다. 신자유주의란 개념은 몰랐어도 더 이상 장사 해먹기 글렀다는 걸 안 것이다. 누님은 미련이 없었다. 그 동안 돈을 꽤 벌어두었다. 그동안 너무 고생을 했으니 이제는 편히 살자는 생각이었다. 땅도 사고 건물도 사고 건축 중인 호화 빌라도 분양받았다. 청주에서 속리산으로 나가는 풍경 좋은 곳에 그림 같은 카페를 짓고 좋아하는 음악이나 들으며 살 요량으로 땅도 사두었다. 그때 IMF가 터졌다. 그래서 알거지가 되었다. 시아주버니의 건설회사가 부도가 났고, 매형이 은행대출시 연대보증인란에 도장을 찍어준 까닭이다. 책임져야할 액수는 누님네 재산의 일부에 불과했지만 부동산값이 폭락하지 않았는가? 경매에서 두 번의 유찰 끝에 서울 사람들에게 헐값에 넘어갔다. 누님은 의사가 특별히 아픈 곳이 없다는데도 두 달간 앓아누워 자리에서 일어나지 못했다. 그러나 자수성가한 불굴의 사업가가 아니던가? 어느 날 벌떡 일어나 동해안의 어느 도시로 갔다. 거기에 전국에서 손님이 찾아온다는 복국집이 있었다. 누이가 사업가일 때 종종 갔던 곳이다. 거기 주방 아줌마로 위장취업했다. 눈치껏 요리법을 배워볼 요량으로. 두 달간 눈치껏 살폈으나 알 수가 없었다. 하는 수 없이 실토를 하고 백만원을 주고 비법을 전수받았다. 그리고 청주에 10평 남짓한 식당을 열었다. 그런데 아무리 좋은 재료를 쓰고 분초까지 재가며 비법대로 해보았지만 원조집의 맛이 나질 않았다. 원조집의 맛을 아는 사람들도 뭔가 하나가 빠진 것 같다고 했다. 누나가 원조집에 전화를 걸어 얘기하자 마지막 하나는 안 가르쳐줬다, 백만원 받고는 그거 못 가르쳐준다 했다 한다. 속상한 누님이 재료상 아주머니 앞에서 하소연했더니, 이거 넣어보라며 뭘 건네주더란다. 그거 넣었더니 원조집의 맛이 나더란다. ‘토시’라는 일본산 조미료였다. 식당은 장사가 제법 잘 됐다. 다른 곳은 집세도 못내는 형편이라는데 하루 매상이 10만원씩은 꼬박꼬박 올랐다. 하지만 누님은 “고생만 되지 남는 게 없다, 어디 직장 생활하는 것만 못하다”고 투덜댔다. 원조집에서 8천원 받는 걸 5천원 받은 탓도 있을 것이다. 식당으로 다시 재기해보겠다는 누님의 꿈은 그렇게 흐지부지 되고 있었다. 그때 청주에 있는 재벌 대기업에서 생산직 사원을 모집한다는 공고가 났다. 지원서를 내고 면접을 보고 오더니 혀를 찼다. 대부분 여고를 갓 졸업한 젊은 여성들이더란다. 그래서 기대도 안했는데 합격했다는 연락이 왔다. 여사장님이 노동자가 되었다는 말에 축하한다 할 수도 없고 “그래 월급은 얼마여?” 물어봤다. 뭐겠는가? 대기업 비정규직 다음엔 중소기업 비정규직 아닌가? 누님은 100만원씩 받아왔다. 하루 12시간 일한다. 요즘은 120만원쯤 받는단다. 비정규직 여성 노동자들의 월급 평균이 70만원인 것에 비하면 많이 받는 편이다. 그러니 경쟁률이 50 :1이나 되는 것 아니겠는가. “어때? 잘 나가던 여사장님이 공장일 하기 힘들지 않어? 무슨 일을 하느냐 물어봤더니 쉬운 일이란다. 시력 좋던 누님이 안경을 쓰는 것으로 보아 눈을 혹사당하는 일인가 보다. I'm not sure how many street vendors (nojômsang) are able to get encouragement from the case of toast maker Kim Sôk-pong, who is once again introduced in Chosun Ilbo, this time as an exemplary case for others' encouragement (or hope, hûimang; the article series is called Hûimangûn naûi him, "hope gives me strength"). It is mentioned that Kim's toast vending chain Sôkpong Toast has now 110 shops; quite an astonishing growth considering that last summer the number of vending stores in Kim's chain was 15 (Chosun article from July 2004); first it's easy to doubt that the growth had been that rapid, but that's what they say in the article, and considering what's been reported about the Korean economy for during the last one year, I can imagine that even that kind of businesses have been in demand. It must be a better choice than making pungôppang pastry, especially if there are people who are used to eat bread in the neighborhood. (In the small business terms that'd be yudong in'gu, "mobile population" or whatever.) Mr Kim, who has seen some hard times, has managed to create an upscale branch - uniforms and all - and it suits well with the changes in eating habits and trends in modernity as well. Judging from the number of people searching info on the Chinese language name of Seoul, there has been some new developments in the quest the get Seoul renamed in Chinese (my earlier entries from last March and from last July). Basically the issue was to get a Chinese name to correspond the pronunciation of Korean Seoul (서울, Sôul) instead of the Chinese Hancheng (漢城/汉城), which is actually the old Chosôn(Joseon) era Korean name of its capital. Of the two final nominees 首爾 (Shŏuĕr/Shou3Er3) and 首午爾 (shŏwŭĕr/shou3wu3er3) [note the non-simplified characters], 首爾 has been declared the winner (from Yonhap). The new Chinese name "Shouer" was decided to be a proper name for the capital, as it is close to the pronunciation of sôul, gives a comfortable feeling, has two syllables, and can be rendered to mean "first-rate city" (ûttûmkanûn tosi). • He, it, this, that. Here. • That, him, her, it. • Sometimes used like 耳 "and that's all." The municipal government of Seoul is going to start using 首爾 in its Chinese-language presentations like in the homepage, and is going to make an official request to the Chinese government for the use of the new name. Searching a bit from the KINDS database about Chinese responses for Seoul's plans for a new Chinese name, it seems that it hasn't been very receptive. Last August, the Chinese embassy in Seoul had only told the Seoul officials to wait, without actually doing anything. The Chinese newspaper Guangmin Ribao (光明日報) had also criticized the Seoul propositions (Seoul Sinmun, Sep 8, 2004) as not compatible with general Chinese character naming practices. Hankuk(?) Ilbo told last November that there hadn't still been any official response from the Chinese. And now the final official decision has been made. The Seoul officials are surely aware that in mainland China the proper form in simplified characters would be 首尔, not 首爾, aren't they? It has not been appropriate to question if the Seoul officials have been aware of the simplified character form of the proposal for a new Chinese name for Seoul: it's that we don't get to see simplified characters in the Korean-language documents. The metropolitan government has not wasted time in changing 汉城 (Hancheng) to 首尔 (Shouer) in its Chinese language homepage. Yonhap reports (via Naver News) of the diverse response of the Chinese press. Xinhua had reported the proposed change in detail (a Xinhua piece in English), with maps and all and pics of the mayor Lee Myung-bak, but without commentary. On the other hand, a paper called 中國靑年報 (in Chinese?) released a critical commentary, maintaining that the change will be inconveninent for the 1.5 billion users of Chinese characters and that not even all Koreans support the change, adding also that the change originates in the Koreans' disapproval of Chinese calling the Korean capital 漢城 (Hancheng). In another piece (Seoul Sinmun via Naver) the mayor Lee Myung-bak says that "in foreign diplomacy, the practice (kwallye) has been to use the original pronunciations of city names." Mayor Lee should tell this immediately to European diplomats and others who use all kinds of weird pronunciations and forms of each other's cities. A Chinese blogger's note (Wangjianshuo's blog) about the name change; wonder why he has the new name in the form 首儿 (which produces the same pronunciation). He doesn't think the new name has a better feel than the old one, but says that others should respect the choice of the Koreans. Seems there both is understanding and unacceptance towards the change among the commenters. 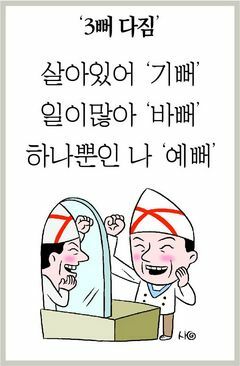 One says that the change reveals the strong national pride of Koreans (汉城改名启示韩国强大民族自尊心 - and the same in Korean: 한성 개명 계시 한국 강대 민족 자존심) . China Daily presents some Chinese response to the 漢城(汉城) --> 首尔(首爾) change. Ohmynews article covers the Chinese response widely; according to it, there have been voices understanding the Korean decision, but the response has been mainly reserved, also negative. Ohmynews reports that 首尔 (Shouer) has begun to appear in the official Chinese media. My blog entry about the topic. Jodi at The Asia Pages, who as an unmarried woman of Korean ancestry closing 30, is able to make observations on Korean dating, courting, and marriage that a foreign male anthropologist concentrating on small businesses in a neighborhood and seeing mostly middle-aged women and men can only read of. As she has recently closed the comments from her site, for which she surely has a good reason (exposure in the press? ), I use my own pages to reply to a post in which she ponders the spelling of the business pictured in what I linked to the right from Jodi's site. I can't be sure but I expect that the "Kolon Shopping" is or at least has been in some way associated with the Kolon Company. Seeing Jodi's post, I went to the company site to find about the origin of the spelling, which I knew to have been that way for a long time. There it was explained in the introduction of the company history: the brand name of the first nylon produced in Korea in 1963 by the company was Korlon, apparently from Korean Nylon. In 1968 it was changed to Kolon. Kolon Gas Boiler (코오롱 가스보일러) must be yet another thing named after the original company. The Kolon Boiler shop in the picture to the right is next to Mr Pak's rice mill; rice pastry (ttôk) boxes waiting to be delivered can be seen in the lower corner of the photo. The stencil work is done on paper as well as on walls and T-shirts. By overlapping sentences and blurring the spray paint, Lee pursues a reverberation effect, symbolizing the cyberspace in which clusters of words, voices and opinions abound. 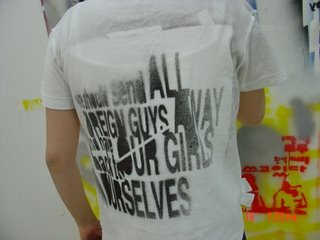 She uses the term "anarchi-stencil" for describing her work as it is based on free expression without any restriction. "Instead of just holding exhibitions as an artist, I would like to contribute to increasing people's interest in art, making people get used to freely expressing their feelings and thoughts through their own works. I am currently thinking about teaching a stencil work to a group of youth," she said. In an article about the development of the concept of "peasant" in Korea, professor Clark Sorensen of the U of Washington had a nice example from around the turn of the 20th century how the brothers of one carrier (chigekkun) working in Seoul beat up another carrier for having replied in panmal to his colleague, who had addressed him similarly in panmal. The carrier who had first used panmal had originally been a yangban in his village before moving to Seoul, and used to address non-yangban people with panmal and expect be spoken to in a more respectful (or elevating) level of speech. These kind of incidents, quarrels and fights due to use of speech levels, were frequently reported in the newspapers at that time. Lest someone might be worried that Korea has been changing too fast, there is perhaps something comforting in the fact that disagreements over the speech levels continue to create violence in the 21st century as well. Here's just another case (Yonhap via Media Daum) of the arrest of Mr (most likely) Cha, who had done violence and caused injuries to a one year younger colleague Mr Cho. The housing equipment (sôlbi) company men had been doing some drinking in the company office, and according to Mr Cha's statement, he had gotten enraged over the continuous use of panmal by Mr Cho, who was younger than him. I could also add the nasty incident among the officials of the Democratic Labor Party last year, which also involved both alcohol and speech level use: two men in party position got violent towards a woman whose language use was not elevating (respectful) enough for the drunk ears and minds of the men. Go to see the blog of art professor Ahn Sang-soo, look at all the pictures of people - don't you start feeling something in your other eye? There's also a blog called Stencils by an artist who likes to remain anonymous, as the concept art done by stencils presented in the blog is done on public property and could lead to consequences. I like the irony of one of the stencils, done before the so-called English teacher s*x party non-incident: We should send all foreign guys away and have our girls back to ourselves. I had to go to check the ward statistics at the Gwanak-gu homepage to see the latest housing statistics. 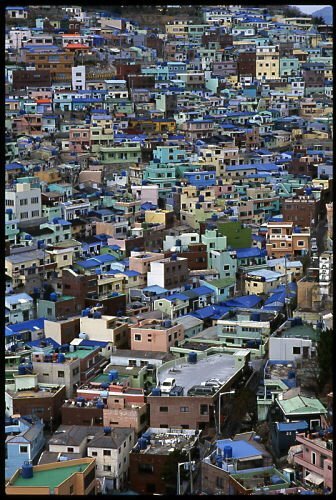 The proportion of apartment housing has grown remarkably since the 1990s, but still only 1/4 of residences is in apartments, which is a smaller figure than in Seoul and in the whole Korea. (These are of course residences, and office buildings make some difference to the overall image of the area. (*) Tasedae chut'aek, apartment unit in a private house: a dwelling under 200 p'yông (660 sqm) which was built to house several households, and in which the housing units are separately owned, bought, and sold. (**)Tagagu chut'aek (Multiple dwellings): A dwelling which has been constructed in order to house several families. Each housing unit has its own entrance, living space, kitchen and bathroom facilities, but the housing units cannot be owned, or bought and sold separately. Detached house (dwelling) (tandok chut'aek). In principle, a dwelling which has been constructed to house one family (kagu). "Multiple dwellings" (tagagu chut'aek) is also included. Semi-detached dwelling (yôllip chut'aek) (this is my own wording, since there was no English given in the original document.) A dwelling of 4 or less stories, which has been defined as a yôllip chut'aek in the building permit. (Now is this a circular definition or what?) Two-four-story "villas" and "mansions" are also included. The founder of Samsung, Lee Byung-chull, is said to have said that "as long as earth doesn't cover my eyes, there won't be a labor union in Samsung". It was almost a week ago that Ohmynews had a story on the case of Samsung Electronics making a worker who had become a union member an offer he couldn't refuse. Not that the worker in question, Mr Hong, had attempted to launch an union in Samsung Electronics, but he had joined the Metal Workers Union (금속노조). One month later he was called to a discussion, in which he was informed, after being questioned who his family is doing, that if he going to continue union activities, he'll have to abandon his family (가족을 버려야 하다) and leave the company without any severance pay. He was also promised good support (chiwôn) from the company if he withdraw from the union. The person didn't like withstanding the pressure, and signed a paper stating withdrawal from the union. Immediately after that he was told that a person who has joined a union has worked against the Samsung company principles (kyôngyông inyôme paechidoenûn sago), and cannot work for Samsung any more. After five hours of persuasion and threats (hyôppak), Mr Hong ended up getting 100 million won extra severance pay on top of the customary sum, 2.5 billion won (2억 5000만원) alltogether. The Ohmynews story accounts the press conference that Mr Hong had in the company of Tan Pyông-ho (spelling? ), the MP of Democratic Labor Party and a long-time labor activist. Mr Hong had received a text message from Samsung the day before, asking him to visit the company with his CV precisely at the time of the press conference. Representative Tan remade the infamous Lee Byung-chull quote in the following way: "as long as earth doesn't cover my eyes, I'll struggle against the unacceptance of unions by Samsung." So what is Nokia doing with Samsung in the title of this post? Isn't Finland a heaven for union and labor activities compared to Republic of Korea? If not heaven (some strong labor unions in Korea seem to have a much stronger negotiation position than any Finnish union could dream of), the overall position is surely better (but not improving). Yesterday an investigative TV program aired a 30-minute program on the labor practices of Nokia Corporation with the title "Nokian laki" (Nokia's Law) (Script in Finnish; rough English translation of the script). It's about Nokia giving a hard time especially to "shop stewards" (employees' representatives), who according to the program are able to do their representation tasks in other big companies relatively free of problems (from the part of the company). Mattila (employee representative): I’ve been thinking about this and come up with this idea that the employers’ union uses Nokia as a testing ground. They think that Nokia is so successful and appealing as a company that the employer can treat those who are not key personnel as they please. Kiiras (lawyer of the professional and managerial employee union) : They don’t brake the law routinely. No, no, you should not portray them like that. You have to remember that this is about young managers, people who do not know what they’re doing, people who make mistakes, so then it sometimes happens that you brake the law. But when we talk about the position of shop stewards, then there’s maybe a bigger thing behind. A couple of more pieces from Ohmynews which nicely illustrate the kinds views there are in Korea towards Samsung. • "I worked for two months for the Lee Kun-hee reception team"; a piece written by a Korean student in Germany about working for Samsung in preparing chairman Lee's vacation visit to Germany. Some interesting pieces of information how the German office of Samsung prepared for two months for the chairman's visit, and how actually quite little of what was done was finally utilized by chairman Lee. The writer describes it as "overloyalty" (kwaing ch'ungsông). Quite interesting if Samsung did not made him to sign a pledge not to reveal anything he learned about the company during the stint. Heck, I accompanied a small group of Nokia personnel in Seoul for 3-4 days, and I needed to sign that kind of a pledge. • "Foreigners collecting tens of trillions"; lamenting and worrying that foreign owners of Samsung shares are collecting so much in dividends (paedang) as Samsung Electronics had such a good last year. Money that a Korean company has been earning is going out into the hands of foreigners who have acquired so much of Samsung stock! The singer Kim Yong-woo will perform on 21-23 this month in Chongdong Theater in downtown Seoul behind Deoksugung palace (Hankyoreh article; see concert info from the theather site); good news for those in Korea, but a bit sad for those like me who have a chance to appreciate his voice only from recordings. (Well, we are happy to have even those!) 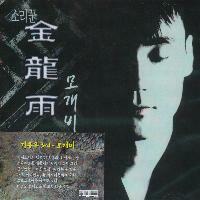 Kim Yong-woo can be said to be a singer of traditional Korean music, but like many of his peers he uses modernized arrangements, and often uses instrumentation from jazz. The article tells that Kim is dreaming of elevating Korean fold songs to world music that can be enjoyed by worldwide audiences. Korean traditional music and song deserves to get a wider audience, and there are many fine examples of contemporarized Korean folk or traditional music (Won Il's Sinbaennori performed by Seulgidung [large mp3 file] is one masterpiece), but I'm not really enthusiastic about Korean melodies ending up being sung on Western pop in the name of "world music" (which doesn't mean Kim Yong-woo would aim towards this). Just thinking what Western world music producers would do to the peculiar Korean rhythms for example. • Kim appears in the ranks of Seulgidung at least in the album From Evening to Dawn, of which you'll find all tunes in the Korean Traditional Music file link above. The music you mention that you heard may well have been something in with Kim Duk-soo (Kim Tôk-su, 김덕수) was involved. He is the samul-nori master, and has done a lot of work with jazz musicians, for example Jamaaladeen Tacuma. The issue of replacing the household register (hojôk 戶籍) system with a more individual-centered system keeping a register of persons has been long in the making, and now the High Court has drafted a system in which each person would be registered individually, and in which the family relations (spouse, children, parents) are also included (Hankyoreh article). When a copy of the register needs to be issued, these family relations can be included according to the need. This is at the moment called a 1-in 1-jôk (一人一籍) system. In another article, Hankyoreh explains what'll change. 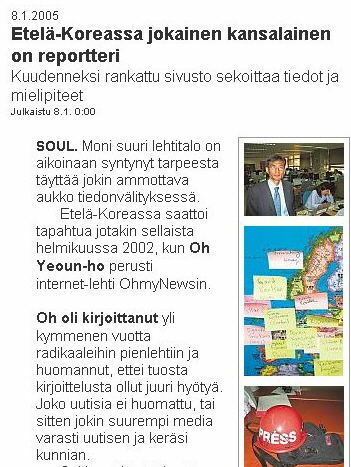 Also: Hankyoreh editorial supports the individual registry, while Chosun Ilbo wouldn't like to see the family registering going away lest it results "in too radical a break with traditional family values"
The Finnish daily Helsingin Sanomat finally ran the story on Ohmynews which had been done already in late November. In South Korea, every citizen is a reporter. The sixth-ranked site mixes information and opinions. "The importance of the advertisers shouldn't get too big," says Mr Oh. His physical appearance is that of a marathoner, and the look in his eyes is serious and honest. Should be interesting reading in the nation which once was known as a forerunner in new techonology, like the rest of the South Korea series. This is a snippet (my translation) from the article "What happens to Nokia when talking is reduced to a supporting role in mobile phones"
In my trip to Asia a young Nokia manager sat next to me [in the plane?]. As is typical for the company, he wouldn't reveal his name for a reporter, but with anonymity the talk is often more open. The manager was especially worried about the terrible working drive in the South Korean mobile phone makers. "They're doing 14-hour work days in Korea," he commented amazedly. "And the mobile phone services are much more easily available for customers than in Finland." The Ministry of Finance and Economy and Korean Tobacco and Ginseng (KT&G) have found out that the number of tobacco retailers in Korea is very high compared to "developed nations" despite of the relatively detailed regulations concerning tobacco retailing (Yonhap article in Hankyoreh). The number of outlets is 153 000, one for 319 inhabitants. Considering the retail system in which small shops and kiosks are struggling but surviving even when facing the huge retailers, this shouldn't be a surprise; the regulation which demands a minimum of 50 meters' distance between tobacco retailers still has left many shops without the desired tobacco retail licence. 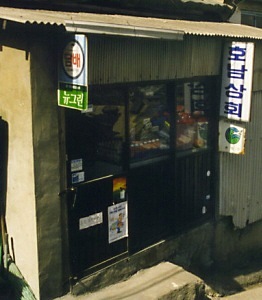 With the still high proportion of smokers of the Korean population, having the tobacco retail licence is not a small matter for many small shops; in the "Kolmok Street" there was (and most likely still is) that small sesame oil press shop, in which almost all of the customers came to buy cigs. The supermarket across the street was without the licence. • Late last year, the Ministry of Health and Welfare decided to raise the tobacco prices (or tax) only once in the following year instead of the planned two raises, which will most likely cause trouble for the planned expansion of the health insurance system, which was supposed to have been financed in part with the increased tobacco tax revenue. 1. 글을 쓰는 사람은 눈을 많이 쓰는데 담배는 녹내장이나 노인성황반변성을 일으켜 시력을 현저하게 저하시킨다. 2.글쓰는 사람은 장시간 앉아있어 운동량이 적기 때문에 혈액순환이 원활치 못한데 담배까지 피운다면 동맥경화증을 악화시키고 순환기 질환에 걸릴 위험이 매우 높다. 3. 글쓰는 사람이 스트레스를 많이 받는데 담배는 스트레스를 더욱 심하게 해건강 피해가 더욱 심각해진다. 4. 글쓰는 사람은 기억력이 좋아야 하는데 흡연자는 40대 이후부터 기억력 소실 속도가 현저히 빨리 진행된다. 5. 글쓰는 사람은 집중력이있어야 하는데 담배 속에 들어 있는 일산화탄소 때문에 정신집중이 잘 안된다. 6. 담배를 피우는 작가가 쓴 글은 담배를 미화하거나 흡연을 당연시하는 분위기를 조성할 수 있다. Of all the people I came to know during my research in Seoul, the most candid and interesting comments about money I heard from Grandfather Kwôn. He never gave the impression of having desire (yoksim) for money himself, but he painted a picture of the modern Korea since the Japanese colonialism as a place where the power of money was overwhelming. The wealth of Grandfather Kwôn's home was based on enterprising: they had a large-scale rice mill (chŏngmiso) and a wine brewery (yangjojang). He mentioned also in passing that his father had been a "wealthy farmer" (taenong), but mostly he referred to the commercial enterprising as the source of their wealth. Despite of the death of his father to an illness even before he was born, the wealth of the household did not dwindle and the remaining members of the family were spared of economic difficulties. Kwôn was able to receive a good education in the standards of that time, and he was sent away from home to attend school in Daegu, which is the main city of the province. He graduated from high school, and had also elementary school teacher's qualifications, which made him in his own words an int'elli, an educated person, which with the wealth of the household made him popular among girls and a highly qualified bridegroom candidate. The periods of his life in the 1950s as a military police, 1960s as an entrepreneur in various businesses (taxi company, inn, movie theater etc), and 1970s as an owner of a big tailoring shop were marked with references to making and using of money. His account of his time as an MP is perhaps quite fitting for the Syngman Rhee's South Korea of the 50s: "At that time military police was able to secure a good income if the checkpoint was in a good location. Money was flowing in for me." Even though he was dishonorably discharged for irregularities of his subordinates, the connections (ppaek) he had developed as MP helped him to launch his entrepreneurial career first with a taxi company. He had relatives living in Japan, to which also had had contacts as an MP, and this presented him with additional earning opportunities. And here comes a very significant remark: "money earned this way was not real money" – it could not be used for a good purpose. "Not real money" had thus an innate property of being unable to produce anything good. With my relations to Japan I could obtain all kinds of products which were not yet produced or were in demand in Korea: soap, toothpaste, toothbrushes, (guess the adult films were also included). But the money I earned this way was not real money. One cannot use it for a good purpose. I drank a lot, and so on. It may sound contradictory that at one occasion he talked of making a lot of money and at another of not knowing money well enough to have been able to make it, but to me it sounds like an account of the fact that despite of all the good earnings of his earlier life, he had not been able to build a lasting base but ended up as a keeper of a tiny laundry at the outskirts of town. "I would have made a lot of money if I had known what money is. But I didn't know. I had enough money, and we had money at home. I didn't have a desire (yoksim) for money then, only for women. If I had had yoksim for money I would have made heaps of it." I made a lot of money during that time. I had a car and a driver, and I weighed 20 kilos more than now, the waist of my pants was 35 inches while it's 28 now. My suits from that time are hanging back there, I could show you. I can't wear them anymore. At the time suits were sold by monthly installment credit system. As good as the suit business may have been, it all ended when he and his wife were cheated to guarantee a loan, after which the defaulter went over to North America. He lost his business and all his money, and came to the neighborhood in Southern Seoul to keep a laundry. But in contrast with the account of "not real money" of his earlier life, the money that he had been earning there in a hard way (kosaeng) was different: it was real money. An important facet in his talk about money, besides how he once used to make heaps of it, was its influence over people. Money traverses status distinctions, notions of propriety and gender roles, and has an immense power to influence people and make things happen. "What is there that cannot be done in order to earn money" (ton pŏlgi wihae mot hanŭn ke muŏ issŏ) was one of his blunt wordings concerning the subject. The power of money was especially poignant during the disorder of war and its aftermath: "girls rather gave up their chastity than starved." While Grandfather Kwôn was not without nostalgic views towards the past "when people had generous minds (insim)," he candidly portrayed the earliest decades of the Republic of Korea as an era ruled by the power of money. He accounted how people could become completely slaves in front of money, or that a person with money could do whatever he wanted. In an account of his time as a taxi entrepreneur in the 1960s, he stated that besides being physically healthy, "money was the most important thing; if one only had money everything was possible." When I came to Seoul for the first time – country people always think highly of Seoul (sigol saramdŭl mujokŏn Sŏurŭl chon'gyŏnghagŏdŭn) – I learnt to know the power of money; even if one had killed one's friend one could get away with it with money, tonŭi wiryŏgi ŏlmana k'ŭnji arassŏ. In the case of Grandfather Kwôn, the power of money and his possession of it often turned into taking advantage of especially women. "At that time there were a lot of hungry people. Women were selling their body, and military police had a lot of money at that time." "Earlier, people really became slaves in front of money" ton ap'esŏ wanjŏnhi noyega toego. I contacted her later [don't know how] that we should meet when she comes to the marketplace. She came, after all, with older women from the same area. I took her to a Chinese restaurant, which were popular and held in high esteem, and the food was very good. I had a taxi company at the time with four cabs. [So it was in the 1960s.] At that time a person with money could do whatever he wanted. She spent time with me and told she had been staying in her own home. She got pregnant (and bore a child), and the child didn't look like the husband of the woman. (…) We lived together for three years… we had arguments, for sure… she had a pretty face, and she had a lot of admirers… [What happened to her husband who went to the army right after the wedding and what happened eventually to their relationship and to her, that I don't really get…] At the time it was like that, marriages went like that, there were a lot of hungry people, it was possible with money (tonman issŭmyŏn toen kŏya. Seems that the vast heavens have sent all the cold high pressure air from the Eurasian land mass to the east, so that tomorrow on Sunday, a morning temperature of -10 is expected in Seoul (see Hankyoreh). Meanwhile we here in the European north are wondering when the winter will actually start and will we be able to ski at all this year. It has three times snowed so that the earth has been covered all white, and three times all the snow has melted away. someone from such a cold country get cold so easily. Perhaps we (or me) have been always so warmly dressed as children so that we never got toughened. About the same time when a Finnish daily had an article how it's virtually impossible for a village shop to survive in a village of 200 inhabitants (in case all the villagers did all their grocery shopping in the shop and never drove to a larger store, the shopkeepers would earn some 1200 euros a month...), Ohmynews has a story of a "department store" (paekhwajôm), which is one of four shops in a village (or actually two villages) of 170 households. The shop stocks everything. 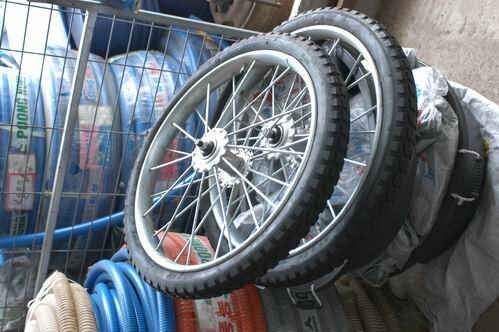 Candy, soft drinks, groceries, liquor, daily necessities, basketballs, chili grinding machine, handcart wheels, water taps, water hoses, pesticides etc. If villagers need, the keeper takes even a long distance and installs it. Everything gets fixed when the keeper of Yeongjeon Department Store Kim Byeong-chae does it. 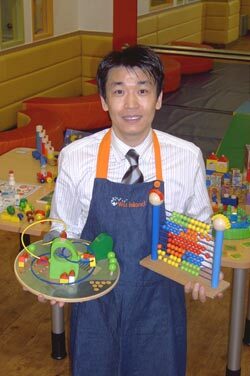 He's the McGyver of Bukpyeong. Back in the 1970s when the area had 300 households instead of the present 170, shopkeeping was also good. Seaweed (kim) cultivation gave good income, people had cash and were using it. There were 16 shops in the area, "and even dogs went around carrying 5000 won bills." Yeongjeong Department Store is doing quite well in competition with the Agricultural Cooperative (Nonghyôp) Mart in the vicinity; not better prices but better service and better selection. Actually this department store is not just a village store but used by people from a rather large area; it's especially the good selection of items related to agriculture that draws customers. The shop is also a focal point for many kinds of deliveries (t'aekpae) coming to and going from the village. What has changed is that traditional festivities are no more good for business, so few people coming to the village in those periods; instead, tourism in the summer is crucial. 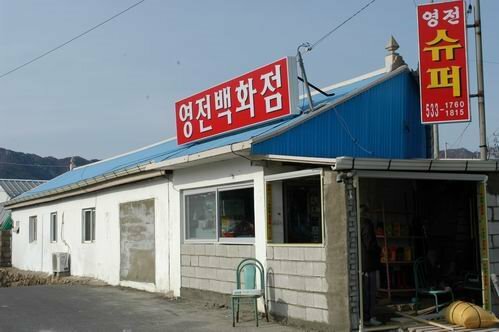 Kyonghyang Sinmun has a piece on the prospects of small businesses for 2005; it's going to be a matter of struggle for survival (saengjôn kyôngjaeng). It's likely that there's going to be a big "structural adjustment" (kujô chojông) - we are familiar with that term already from the "IMF era" when it was applied for bigger businesses when slimming down the excessive (?) work force. One would think that "structural adjustment" would mean the disappearane of non-viable businesses, but if more and more people are likely to try to enter self-employment as Kyonghyang predicts, to me it'd seem like the number (and proportion) of barely surviving small businesses wouldn't decrease. Good prospects: it's going to be a year of "well-being". Distinctive welbing items like "fusion samgyôpsal" and "sulfur duck" (yuhwang ori) are going be a good biz, as well as specialty shops for organic agriculture products. Educational services like counceling for reading and essay writing (toksô, nonsul kwalliôp) and children's creativity games look like good ideas. Visiting children's photography (? ), kamsông norihakkyo ("sensitivity playing"), café-type PC rooms, bed cleaning (yes! - ch'imdae ch'ôngsoôp) are would seem to be in favor. (But will they be viable businesses?) The article also mentions "price-crash" chicken and samgyôpsal places, but one cannot but wonder what's the quality of 5000W chicken or 3000W per person samgyeopsal. Kotaji wonders in comments what the kamsông norihakkyo might actually be. Let's give it a try; I hastily put it as "sensitivity playing" - it might be a kind of a preschool children's play and education establishment which is supposed to develop children's kamsông. So let's give now Google a try. Taking a quick look also at another "emotional preschool" franchise, Wizmom, one cannot escape the feeling that it's the same old wine in new skins: "raising creative geniuses" (창의력 있는 영재로 키우는) is the slogan that the both have. Just a second... both Wizisland and Wizmom belong to the same company! The kamsông norihakkyo is apparently a term launched by this Wisisland company. Son Seok-chun, member of Hankyoreh editorial board, writes much more convincingly when creating an argument of his own like in this column in Nodonggwa Segye than when doing just reply commentary mostly to views presented in Chosun, like he mostly seems to be doing in the pages of Ohmynews. The Nodonggwa Segye (Worker and The World) is about the necessity of intellectual development among the workers. For Son, this would mean the development of a more clearly defined working class identity. It is true that historical and political circumstances in South Korea haven't really been favorable (to put it mildly) for a creation of a working class identity, but now that those circumstances have changed, it doesn't necessarily follow that manual workers will start thinking of themselves as "working class" any better. And I just would never dare claim that the intellect of a Korean manual worker is in need of development just for the fact his or her identity as "Korean working class" is not as clear as it should be (considering the person's position towards work and capital, for example). There is also the paradoxical situation that the workers who are best organized, most united, best able to represent and defend their interests as workers are also in a best position to provide their children so that they don't become workers. Hankyoreh has an article series about the problems of growth and redistribution of wealth: the article "You to Towerplus, me to rental room"(*) once again notes the growing disparity between big and small companies. If the pay level in big companies with 500 or more employees is set at 100, the level in middle-sized companies (30-100 employees) was 84.5 and in small companies (10-29 empl) 83.5 in the year 1998. In 2003, the respective wage levels compared to big companies were down to 81 and 78. (*)Towerplus is the luxury apartment complex in Gangnam, which has become the symbol of conspicuous wealth in Korea. The "rental room" in the title is jjokpang, room that is rented on a daily basis in dorm-like houses mostly in downtown areas. My understanding is that many renters from the "redeveloped" hillside settlements who haven't been able to acquire other housing have ended up in these places. Here Towerplus and jjokpang are of course used to create an image of a severe bipolarization of society. Further in Hankyoreh: "Worker's life more difficult than during the currency crisis". It may not be correct to define the bottom tenth income stratum as "workers", but according to the recent statistics, the real income (silje sodûk) of the bottom tenth has not recovered to the pre-crisis level of 1997. 새해의 첫날이고 "훈장의 가르침"의 1돌이기도 합니다. 2004년은 너무나 슬픔 소식으로 마감되고 새해는 우울한 분위기속에서 시작되지만 희망으로 가득찬 새해를 맞으시길 바랄 수밖에 없습니다. 소매에다 달아붙이시면 밤에 잘 보입니다!